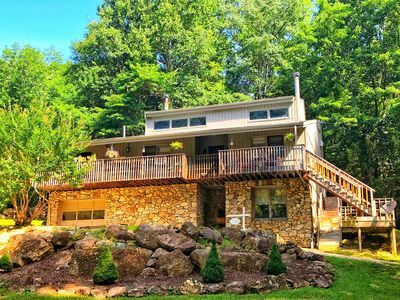 This 6,500 s.f six bedroom house is the perfect setting for one or two families to escape to the Blue Ridge Mountains and enjoy Wintergreen Resort. 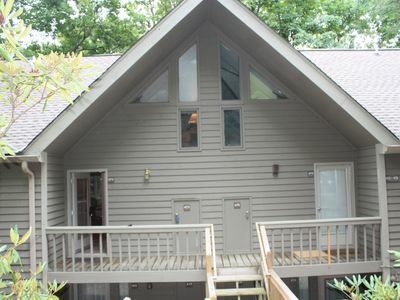 There are two, very spacious, master bedrooms each with king beds. 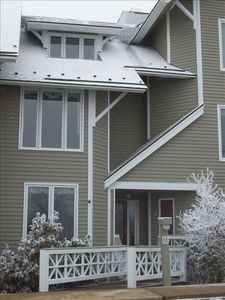 The other four bedrooms include 1) a queen, 2) a full and 3) two (2) separate bedrooms, each with a pair of singles. 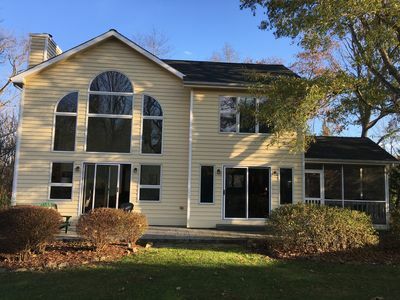 All six bedrooms have a full bath and an additional half bath is on the main level. 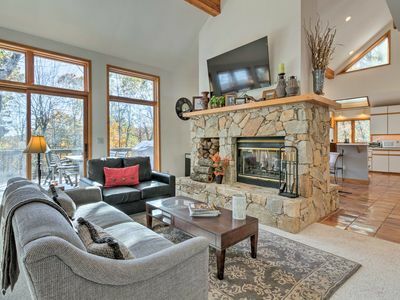 The living room has a beautiful 22' high stone fireplace that provides the perfect gathering area for guests after a day of skiing, golf, tennis, hiking etc. 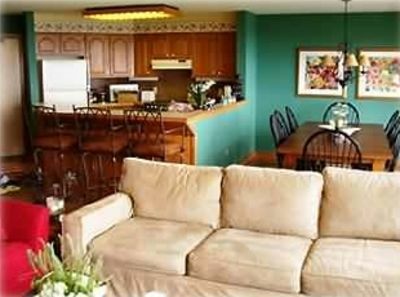 A full kitchen with dual oven and dual dishwashers is conveniently located next to an open dining area suitable for eight. 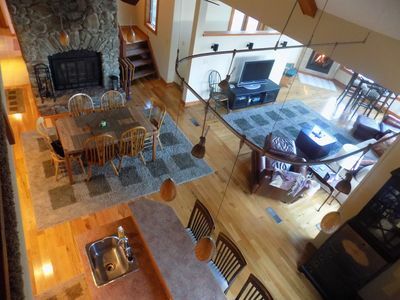 A separate bar area w/ sink is adjacent to the living room and dining areas. 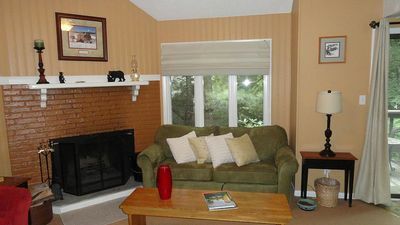 The lower level family room has a widescreen TV, wood burning fireplace with a large adjacent pool table area. 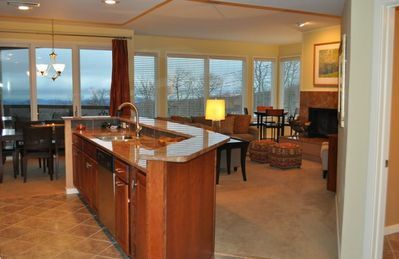 This room walks out to hole #7 of Wintergreen's Devil's Knob golf course. 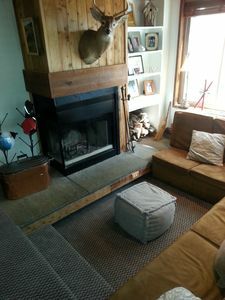 A quiet study/loft is located on the third floor overlooking the living room. 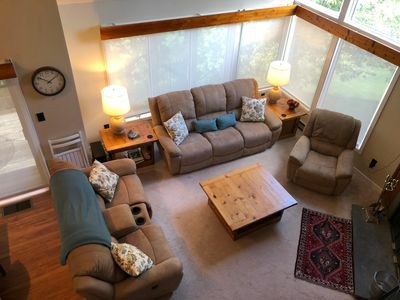 This room has a computer (w/ high speed Internet access), TV and two chairs for anyone who wants to enjoy a book, TV viewing or a little peace and quiet. 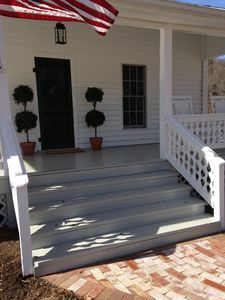 The front of the house has a large open deck under a shaded canopy of oak trees. 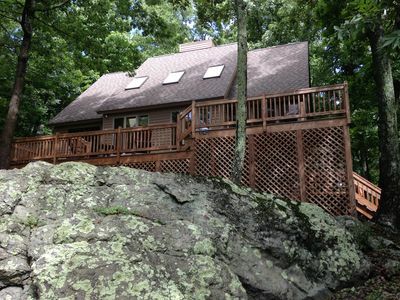 The sound of the natural spring stream below and six person glass table make this the best spot for outside dining. 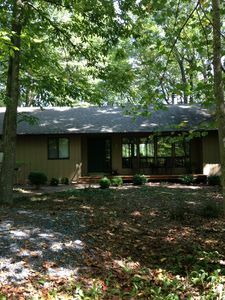 The golf course deck on the other side of the house is the largest and boasts beautiful views of the golf course and has several lounge chairs for those who want to enjoy the fresh mountain air. 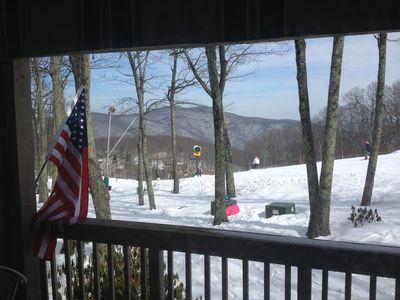 AMAZING SLOPE SIDE next to BlueRidge Express.Gold Rated + Passes! 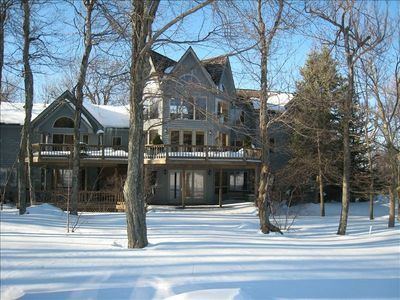 Charming Mountain Home For Skiers, Golfers, Hikers Or Just A Quiet Cozy Getaway. 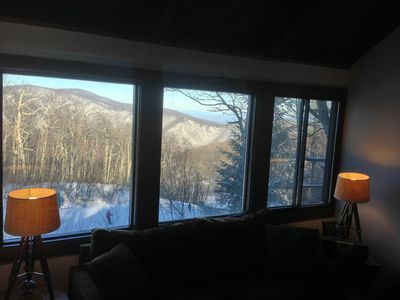 Best views on the Mountain! Still available for Christmas! 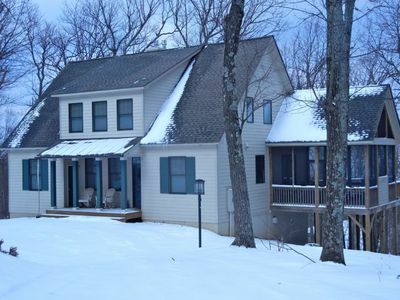 Desirable Devil's Knob location - Perfect Family Retreat! 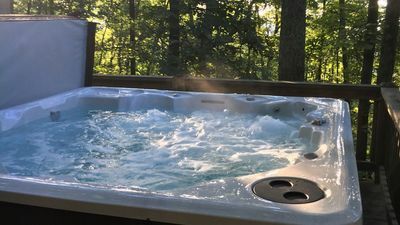 Cooler in the mountains, with hot tub. 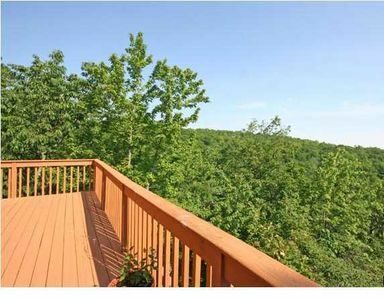 Peaceful Roseland House w/ Loft, Deck & Mtn Views! 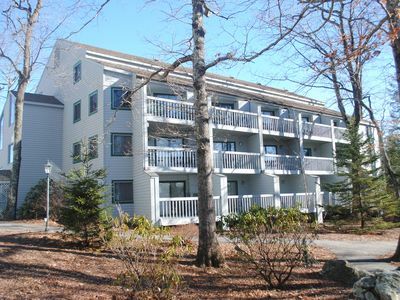 Three Bedroom - 2 Bath Condo at Wintergreen Resort -Member Passes Included! !